About a week ago, word came out that Rogue One: A Star Wars Story was undergoing extensive reshoots, with some reports blaming it on a desire to lighten the tone or polish up some of the action. Over on the numbered Star Wars movies, though, things seem to be going a little bit better. 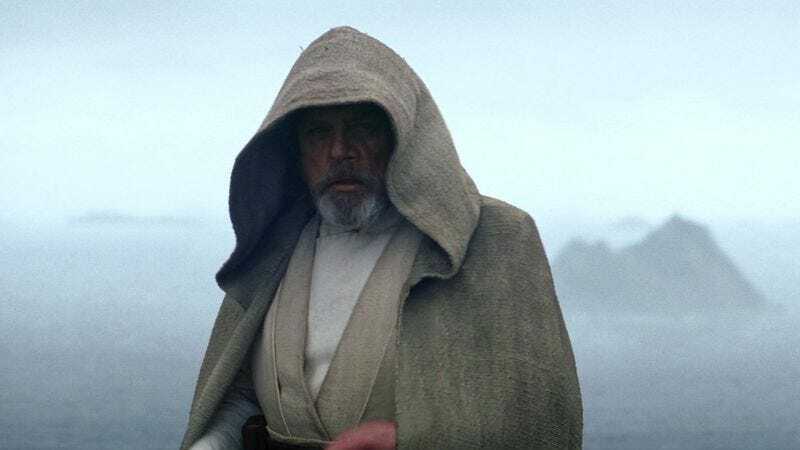 As reported by Collider, Star Wars: Episode VIII director Rian Johnson recently posted a message on Tumblr saying that the filming—which kicked off in February—is “in the home stretch.” Alongside that short note, Johnson included a photo of some filming equipment, rocky architecture, and what appears to be the Jedi robe that Luke was wearing at the end of The Force Awakens (or at least a similar one). Of course, Episode VIII doesn’t come out for over a year, so there’s plenty of time for it to get some extensive reshoots of its own. Plus, what if the boom mic (or whatever that is) in Johnson’s photo suddenly catches on fire and falls over onto Luke’s robe and it gets destroyed? What if Mark Hamill sees the fire and tries to put it out, and then he gets hurt before filming is finished? What if Disney CEO Bob Iger is on set at the time and gets so mad about what he sees that he decides to stop making Star Wars movies altogether? So yeah, production seems to be going fine on Episode VIII, but it could easily go off the rails at any second.